Rock music festival is a destination where every music lover wants to go and enjoy. If you are keen to know the most popular rock music festivals then this article can give the brief description about them. Lollapalooza: Lollapalooza seems to be a premiere destination for rock music follower across the continent. It is held in amidst sky-scrapers, heart of Chicago in US. Well known and brightest rock star of the industry join this music festival and making it one of the best rock musical fest around. Electric Daisy Carnival: This musical festival has become the World’s most famous with the presence of the legendary dance and music talent. The festival has shifted from Los Angeles to Las Vegas to make it more successful and flourishing. 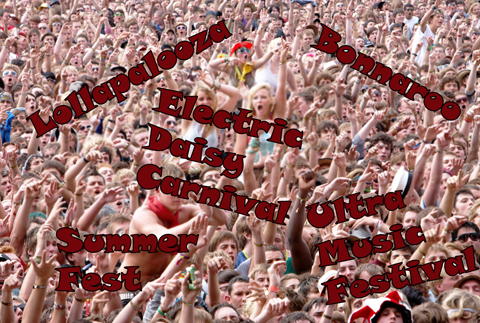 Summer Fest: It is considered to be one of the largest music festivals in the World. Every year approx 10 lacks attendees join the fest. The festival stays for eleven days and accordingly it is planned in different parts. It is located in Milwaukee, WI. Bonnaroo: It is also known 50 moments, the best rock music festival of the East Coast. It spreads in 700 acres area and almost 10-15 lac audience join the fest for World’s best rock and roll performances. Ultra Music Festival: It is held in Miami town during Miami Music week and it is supposed to most famous dance music fest in US. Ultra music fest is more enjoyed by lovers. Have you ever considered about some strange and unusual things that have happened in the lives of our favorite rock artists ever? Well there are numerous but some of the most interesting yet strange facts about rock & roll are described below. One of the most famous heavy metal rock genre guitarists, legendary Dave Mustane was actually a drug dealer before he became a rock artist. He came to know about the rock genre heavy metal by one of his drug clients who used to work in some music shop. The customer gave Dave some music instead of cash. Dave liked it on first glance and thus heading towards the road of becoming one of the most famous guitarists of rock music world. James Hetfield is Irish as well as German, Scottish and English. He created his famous song ‘Nothing Else Matters’ because of his father’s death. His mother died since she refused straight forwardly to take on medicines of cancer disease by being truly faithful to the Christian beliefs. That is the reason why James created the song ‘The God that Failed’. There is another interesting fact about James. James once left his band during a live recording of a song for just having a drink. Moreover he once almost got burnt onstage alive. All of the Ratt’s songs, each & every song, are about girls. They all are focused over girls. Iron maiden actually took a trip & that too around the globe which was called ‘The Flight 666’ which is basically considered Satanic. 1960s and 1970s were the golden ears for rock music and it was the time when many new rock bands were formed. It was in 1968 a new English rock band was formed in Birmingham which was named as Black Sabbath. There were many popular artists who stood behind the formation of this band such as guitarist Tony lommi, Ozzy Obsbourne the singe, and drummer Bill Ward. As years went on the band saw many transformations therefore lead to replacement of artists, however it was Tony lommi whose presence could be seen for a long term. Chronological factors reveal that after quite a few transitions in name the term Black Sabbath came into existence. For instance, earlier in 1968 this band was called as The Polka Tulk Band and also as Polka Tulka Blues Band, however people associated them as Earths blues band for the team in Sabbath blues black were more frequently played. Meanwhile, another band that toured England with the name called Earth; this led to certain ambiguities in booking another band in the place of Sabbath. The consecutive performances that were not up to the expectations of the audiences were felt to be a result of misunderstanding in identical band names. 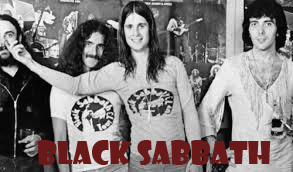 This is one of the major reasons for the artists of Black Sabbath to select the Black Sabbath as their brand name which was also found to be unique. Black Sabbath stayed unique from that time onward however, transition of artists was found to be unavoidable in their team. Rock music’s good side has always been associated with name, fame, reputation, high status, money and luxurious life style of rock artists. On bad side it gets associated with drugs, abusive language, crimes, violence, drinking, smoking etc. But have you ever wondered about the ‘Sad’ side of rock music world and people associated with it? 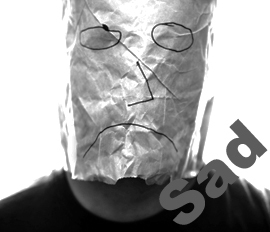 Sad side is not about the bad side of drugs, abusive language or criminal record. It is associated with the sad, depressing and heartrending part of lives of our rock artists. If you are still wondering over it, then do have a good look over the facts provided below which portrays some of the bad incidents of rock artist’s lives. The present rock legend, one of biggest pop icon present today, the legendary lady Gaga had a rough childhood. She used to be persistently bullied by boys of her school. Once they even throw her in dumpster. The well-known Eminem had a very sad past. Her mother used to abuse her constantly over her childhood. The same is the story of DMX whose mother was also abusive. Mary J Blige was molested and raped as a kid, something that could almost devastate one’s life. Ed Sheeran was homeless and did not have any money before getting famous. One of the legends of rock music world, Kurt Cobain had a miserable youth. He was homeless for some time and had to live under bridges for some time. Famous singer Fantasia story is one of the worst one. She grew up in some rural community. She was very poor and also got teenage pregnancy. Moreover she never got to learn reading & writing until she got famous. We all are aware of a general term – Rock music, but most of us do not realize that this music has various forms. It is the name of the musical genre that most often followed popular songs of that were published since 1960s to 1980s. This musical group is always identified as a typical radio station as they dedicated their music in playing admired songs of the above period; however, they are not radio stations. The reason behind such connotation is due the way they programme the presentation of popular songs. In the earlier days the classic rock music followed album based rock, but gradually from 1970s till the initial years of 1980s they started playing contemporary music in addition to earlier album songs. However, during the mid of 1980s classic rock music took its transformation from playing present day music to classic rock again. Though much radio station genre music followed classic rock radio station format, the first genre to be named under it was Philadelphia’s WYSP in 1981. But, it was found that music stations of about more than 40 numbers have been categorised as classic rock. 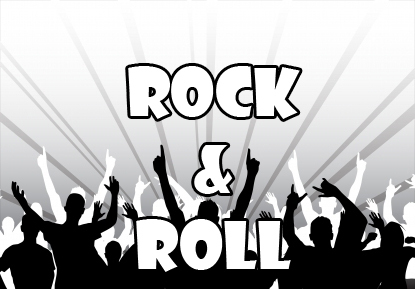 The Beatles, Rolling Stones, Queen, Eagles, Aerosmith, are some of the bands which reflected the classic rock genre. The earlier musical hits of the musicians involved in the above bands stayed as frequently played music for radio programs. Certain classic rock stations focused on hard rock, metal bands like Guns’n Roses and Metallica of 1980s. Later in after 1980s classic rock also favoured new musical entities. For those who are wondering how come Folk and Rock names can be used together, it is actually ‘Folk Rock’ and it is not any mistake. Folk rock is basically a unique kind of rock musical genre that very elegantly and uniquely combines together the rock music with the folk music. Well there has never been a sure shot answer to the actual origin of this exceptional form of rock music and neither anyone knows who originated it. 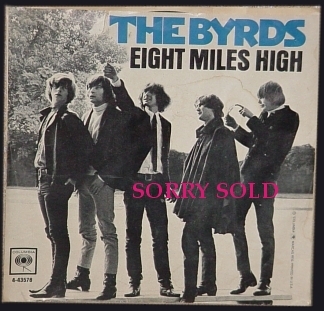 But this exclusive genre was initiated widely by the band ‘The Byrds’, a band from the Los Angeles and that too around the 1960s era. This term ‘Folk Rock’ was first claimed on by music press from USA to simply portray band’s music. It was done in June 1965. Folk rock genre acquired its original antecedents from The Beatles’ beat music, USA’s folk music restoration along with some other British incursion bands. Folk rock genre of rock music world may incline more toward rock or toward folk in its playing, its instrumentation or in its vocal style, or even in its preference of material. Well this innovative embodiment of folk rock get directed to an eclectic & divergent style of famous electric folk that later on got famous as British folk rock and was pioneered during the late 60s era. Since then there have been five sun genres of this unique form of rock music genre.